Seven years ago today, I sheepishly shared my first ever, very cringe-worthy blog post. James and I were in California on spring break, I had just bought our first DSLR camera and I made him take photos of my outfit as I awkwardly stood in front of some tropical-looking greenery. With the click of the “publish” button, I made my debut to the world (please don’t judge how horrendous this blog post is!). Since then, I’ve been blessed with some incredible opportunities, but also cursed with self-inflicted anxiety. This hobby-turned-side-hustle has changed my life in a lot of great ways, but it ain’t always easy. So in honor of the fact that I’ve been blogging now for nearly a quarter of my entire life (woah), I’m sharing all the glamorous, fun, stressful, and stupid things that I love and hate about blogging. I started blogging as a creative outlet. I was a second-year law student that was slowly dying inside from the monotony of legal research. Here I was, in the middle of lectures, online shopping and browsing through Pinterest for inspiration. Today, my blog is still where I go to get my creative juices flowing. Sure, I enjoy putting together outfits, but I really love editing photos and writing long form posts (like this one). I’ve always considered myself a better than a speaker and taking the time to sit down and put my thoughts to paper really feels good for my soul. Thanks in part to the building pressures of social media to share the perfect shot that captures the perfect little slice of a perfect life, I’ve started to feel really silly, completely self-inflict angst whenever I’m out. Like, can you not eat that before I take a downward food shot? Or we need to take this outfit photo before we start to enjoy the day, because my hair is going to go flat and my clothes are going to get wrinkly. It isn’t until I get that coveted “money shot” do I physically and emotionally feel a sense of relief lift away. It’s sickening and it’s something that I’m constantly trying to battle and be better at (any tips on this are welcome!). I want to enjoy experiences as they’re happening in the moment, because they’re more memorable than any photo could ever be. Over the past eight years, I’ve been able to do some really cool things thanks to my blog. Well, to be honest, the opportunities didn’t really even start coming until after four years of blogging. Since then, I’ve collaborated with Cosmo and People StyleWatch. James and I have gotten to go on an all-expenses paid cruise with Royal Caribbean. And I’ve worked with some brands that I truly admire, including Banana Republic, Lilly Pulitzer, and most recently Ann Taylor. I’d even like to think that my blog has opened up doors in my professional career. 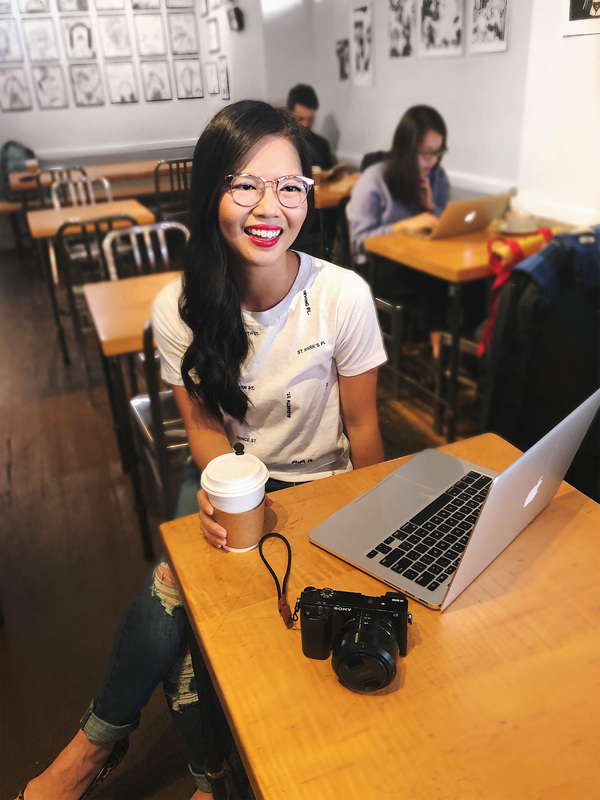 Having put my blog in my resume, it was a talking point when I interviewed for my past two jobs and maybe – just maybe — it was one of the things that helped me stand in sea of an applicants. One of the first things that people ask me when they hear I have a blog is “How many followers do you have?” I know it’s just out of curiosity, but it’s also part of this innate belief that size is the key metric of success. I mean, I’d be lying to say it wasn’t. But suddenly, I revert back to the sheepish twenty-some year old Jen who was shy about launching a blog and is even more shy that after eight years of blogging, has yet to go “viral” or “make it big” or whatever. I watch other bloggers who have been in the game for only a year or two and they’ve got tens of thousands — if not hundreds of thousands — of followers. They’ve all quit their jobs and are blogging full-time (something that I don’t have the constant income, let alone courage to do). I constantly get wrapped up in all of those feelings of disappoint, but then I remember this is not my full-time gig. In fact, I’ve got a job that I absolutely love and running a blog on the side is just the icing on the cake. In that moment, I remember that I’m not blogging to compare myself to others and hitting certain metrics – I’m blogging for myself. And for you! The absolute best, number one, most incredible thing about my experience with blogging has been the people I’ve connected with over the years. I’ve met some pretty inspiring and driven women – like Krista who also juggles a full-time job along with her blog. There’s Megan, who is a mother of three and is killing it at blogging. There’s Jackie, who I can always count on for a good time, whether we’re at a blogging event or on a trip together. And there’s Tracy, who was my very first friend in NYC and later became one of my bridesmaids. There are ladies I’ve never met, but are friends with online that I adore like Jess, Nancy and Kerrie. Blogging is an incredible community of movers, shakers and influencers and I really am thankful to be a part of it. Every now and then, James will ask me how long I plan to keep blogging for. The truth is – I have no idea. There are days that it feels like a chore. And then there are days that it leaves me feeling inspired, thankful and fulfilled. Today is one of those days. Lovely post, Jen! It sounds like reflecting and writing is when you realize the positives vs negatives of blogging! I totally agree that having a full time job takes the pressure off the negative aspects of blogging! Thank you for this post. I’ve been enjoying your blog for several years. I read regularly, and sometimes think about a blog of my own. I relate to some of the sentiments you expressed here. Personal style blogging, for all of its frivolity, can be a very demanding hobby for those who do it as a side hustle. I myself have, on occasion, been a nightmare–to the friend/family member who was so kind to carve time out to help me take photos–when my plans to take blog photos are thwarted (mostly by crappy weather). In recent years, though, I have become a little more relaxed/reasonable and have made peace with the fact that, hey, sometimes I just don’t have the time/resources to blog and that’s fine. Sure, it’s fun when you have a large audience to interact with, but ultimately (unless your goal is to become a full-time blogger) you are the only reader you ought to care about. I know this is easier said than done, but I am glad you’ve stuck with it, because I really enjoy your pretty blog photos (and appreciate the work you put in behind the scenes).